Date: Wednesday, 2nd February 1983. Competition: FA Cup Fourth Round Replay. Scorers: Leeds United: Butterworth. Arsenal: Rix. 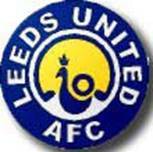 Leeds United: Lukic; Aspin, E.Gray; Thomas, Hart, Dickinson; Hird, Butterworth, Connor, F. Gray, Graham. Unused Sub: Gavin. Arsenal: Jennings; Hollins, Sansom; Robson, O’Leary, Nicholas; Talbot, Sunderland (Davis), Petrovic, Woodcock, Rix. 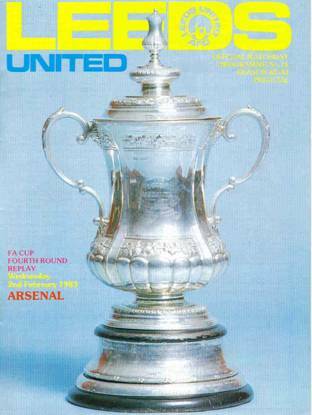 Relegation in 1982 came as a big shock to United and their followers, but after disposing of lowly Preston North End in the third round of the FA Cup, United were given an early return to the big time. Arsenal at Highbury was their reward and Leeds gave a solid team performance. They took the lead after sixty-one minutes through an own goal by Peter Nicholas. Then, unfortunately, they immediately conceded their advantage to the Gunner’s experienced striker Alan Sunderland but held on to take Arsenal’s star-spangled side back to Elland Road. Part of the Lowfields Road side of the ground was closed for the match because of hurricane strength winds had ripped asbestos sheeting from the roof of the stand. The wind and heavy rain made the going on the sanded Elland Road pitch extremely heavy, making quality passing movements a rare commodity. United had the better chances the longer the match went on with Welsh midfielder Gwyn Thomas firing just wide after intercepting a Stewart Robson back-pass. The young Welshman also had a twenty-yard shot cleared off the line as United began to pick up the tempo. On a heavy pitch both sides traded attack for attack, but the defences held out without much difficulty and the game dragged on into extra-time. With the tacky sanded surface sapping the players’ energy and the strength from tired limbs, a second replay was looming as United built an attack down the left in the final minute. It began eighty yards from the Arsenal goal with Eddie Gray and Arthur Graham, who got striker Terry Connor moving down the left. He did well to beat his marker, Stewart Robson, before whipping a low cross into the penalty-box, where his young co-striker Aidan Butterworth had just enough strength to stab the ball home in front of the Kop. Butterworth, riddled with cramp, could hardly get back to the centre-circle as Arsenal restarted the game. 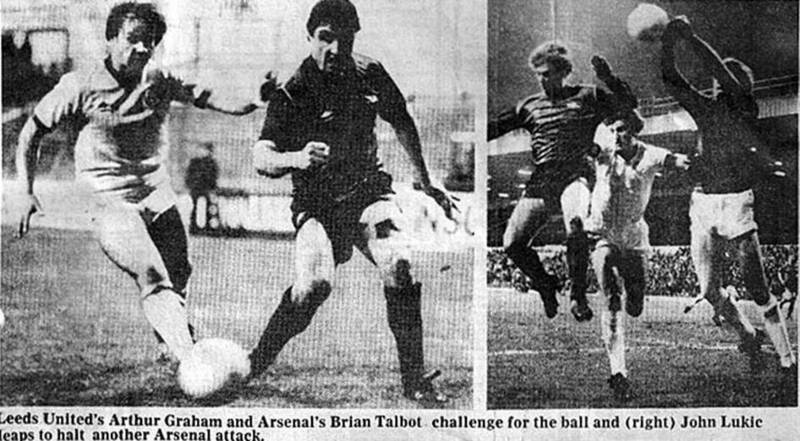 The Gunners immediately won a free-kick thirty yards out and with United still getting their defenders in place, the quick thinking Graham Rix bent a left-foot shot past the startled John Lukic to bring the game to a sensational finish, as victory was snatched from under United’s noses in an astonishing end to the game. YEP reporter Don Warters said “Elland Road erupted when Butterworth’s shot went in, despite a touch on the ball by Kenny Sansom, but tragedy struck United, and goalkeeper John Lukic in particular, seconds later, when Graham Rix took a thirty yard free-kick and sent the ball skidding into the United net at the near post”. Referee John Hunting barely had time to restart the game before time ran out, and to add to United’s agony Arsenal won the toss for the right to stage the second replay. At Highbury, the Gunners triumphed 2-1, with young Terry Connor scoring for United, but it was Arsenal who progressed to the fifth round. In an unbelievable final minute of extra time Leeds United had one foot in the FA Cup Fifth Round only to see the chance slip away. In the one hundred and nineteenth minute of a tense, tight and often tactically dominated Fourth Round Replay at Elland Road, Aidan Butterworth side footed Leeds ahead. It looked all over for Arsenal but as the seconds ticked away and the electric scoreboard showed that time was up the First Division side were awarded a free-kick thirty yards out. 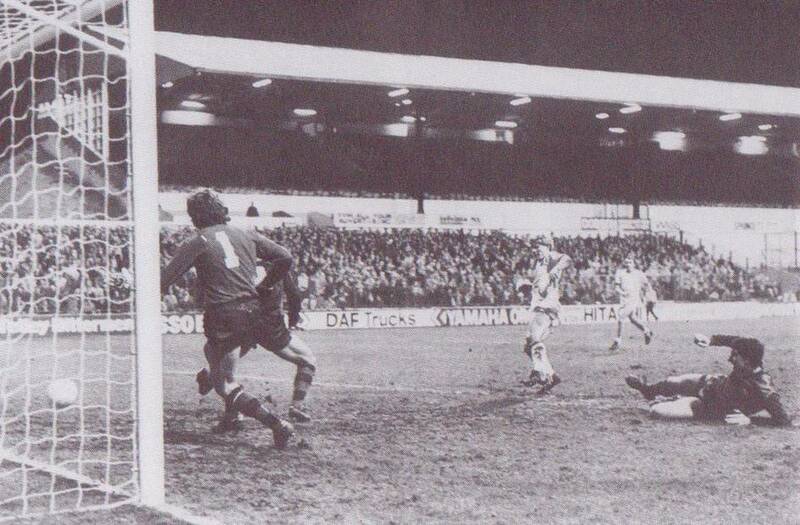 Graham Rix took it and speared a left-foot shot low into the near corner to stun Leeds and most of the 24,410 crowd. Therefore the tie which appeared to have all the makings of a long, long siege would have to go into a second replay at Highbury the following Monday, Leeds having lost the toss for choice of venues. But the next instalment would have to a long way to match the drama of the last minute in this match. With players weary after giving their all in clawing conditions the home crowd willed Leeds to go forward one last time and in an eighty yard movement they swept into the lead. It started with Eddie Gray, the Leeds Player-Manager, from the left-back position, carried on by Arthur Graham, who released Terry Connor on the left-hand side of Arsenal’s penalty area. 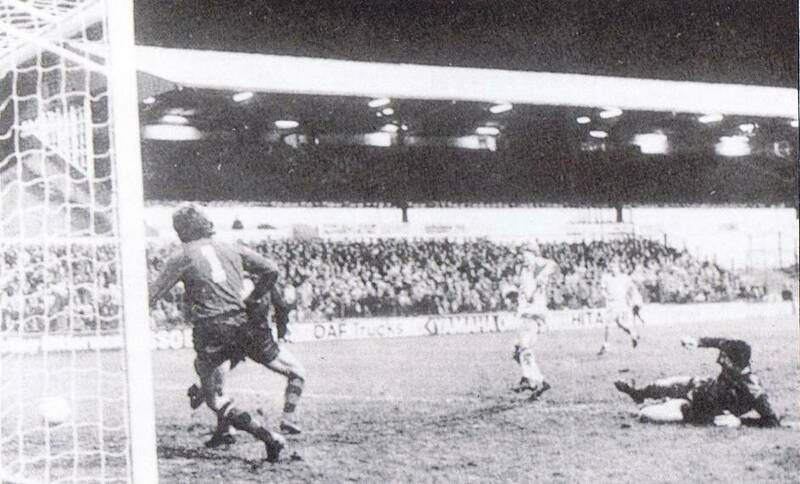 He managed to hold off the challenge of Stewart Robson and his short low cross found Aidan Butterworth at the far post, where Leeds’ leading scorer joyfully nudged home his ninth goal of the season. The Arsenal players sank to their knees. But within thirty seconds they were running to the small band of London supporters in celebration after Graham Rix had hit back. Extra time had provided Terry Connor with one good shooting chance and Brian Talbot an opening from close range, but all along it seemed as though the two teams would not be separated in a tie filled with endeavour. Eddie Gray had said that it would take a lot of patience to fins a way to settle the match and so it proved. The action was much as it had been in the 1-1 first meeting at Highbury the previous Saturday, though the speed of the game was lifted a gear or so. This was surprising. It took a lot of hard running to make a faster game on a pitch well sanded, after the snow and rain had left it heavy. But both sides pushed hard looking for breaks which two well drilled defences kept to a minimum. 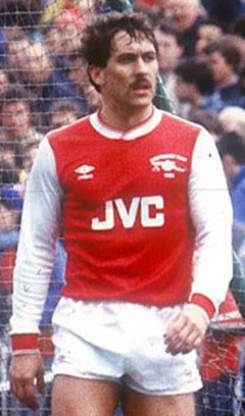 Arsenal, who lost Alan Sunderland to an injury, found that Kenny Sansom and Graham Rix were their two most incisive attackers. 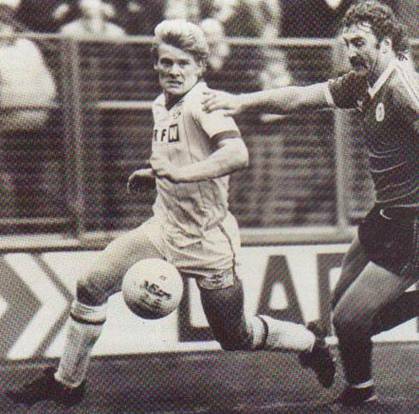 Leeds found Kevin Hird, who had replaced the injured Gary Hamson, in fine form. But it was Gwyn Thomas who went nearest to a break-through for the Second Division side during normal time with opportunities both just before and just after the interval. First he fastened on to a back pass from Stewart Robson, who had been under pressure from Terry Connor, with Pat Jennings out of position Thomas elected to cross from an acute angle rather than trying to find the empty net. There was no one to meet the pass. But next time he went for goal and shot from twenty yards, after Arsenal had failed to clear a corner, looked as though it was going into the net, but Kenny Sansom made a timely stop on the goal line. Malcolm Allison, who had brought his Middlesbrough players to see what was in store for them at Ayresome Park in the Fifth Round, could have been forgiven, even at that point, had he wondered when this particular tie would be settled. One goal had been the most either side had managed in previous FA Cup meetings. It looked as though one might be enough to settle it this time. But though John Lukic did well to tip a looping header from Brian Talbot over his crossbar and Paul Hart went near with a header for Leeds, the tie was forced into an almost inevitable spell of extra-time. Then came that tremendous final minute. “It was a death or glory situation,” said Terry Neill, the Arsenal Manager, when describing the goal that saved his side in the last seconds of the Fourth Round FA Cup tie replay at Elland Road. Neill said of the late free-kick which produced Arsenal’s equaliser, “Rix put the ball down, and I think he made up his mind to try something. It was a death or glory situation. The ball bounced just before the goalkeeper, but full marks to Rix.” The Leeds Manager Eddie Gray, said that his players were disappointed, chiefly because they had scored at the death and then given it away. “It was the same sort of game as at Highbury, last Saturday, but we will be going back there and sticking at it. I was very pleased with the way out team stuck at it tonight. Arsenal are a very good side and have a great belief in themselves and our players did well to match them.” A second replay would then give Leeds the chance to introduce John Sheridan, who had consequently completed his two-match suspension. There was also the chance that the Leeds Captain Kenny Burns would recover from the hamstring strain, which had prevented him facing Arsenal so far. Back Row: Gary Hamson, Martin Dickinson, Neil Aspin, Frank Gray, Gwyn Thomas, Peter Barnes. Jimmy Lumsden (Assistant Manager), Terry Connor, Arthur Graham. George Wood, David O’Leary, Brian Talbot, Stewart Robson, Graham Rix. John Hollins, Paul Vaesson, Kenny Samson, Paul Davis.